Build intelligence into your eDiscovery processes! Did you know the median litigation budget in the US is $1.2M (2015 - Norton Rose Fulbright) and that over 40% of large companies have one or more lawsuits with $20M+ at issue? With data being created at exponential rates, reviewing necessary documentation can and will become one of the biggest challenges legal teams face. It’s time to build intelligence into your discovery processes. 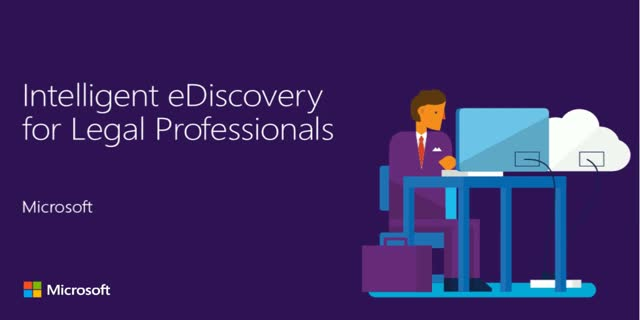 Microsoft Office 365 Advanced eDiscovery may be the answer for you. File sharing, collaboration on documents and the influx of data in the cloud will pose new challenges and opportunities. Save your seat in this session to learn more!